The snow has stopped, but not for the annual Snow Symposium! 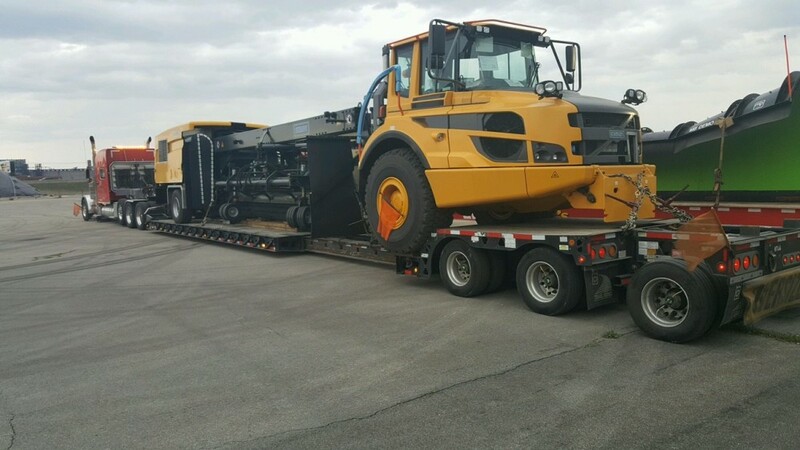 We were contracted to deliver a snow plow from the Port of Baltimore to the Convention Center in Buffalo, NY, so that it could be showcased as part of an exhibit. The plow is 54’6” long, 11’3” high, and weighs 55,000 pounds! It required an RGN stretch trailer with 50’ of well space in order to allow for the unit to be driven on and off the trailer. Another show load that was delivered on time and in budget!